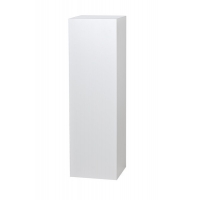 Solits has designed this unique white high gloss plinth, which is made from MDF and is coated with a scratch-resistant high gloss layer. This technique is unique. 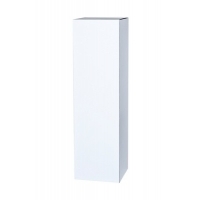 In the past, we used to offer a high gloss sprayed plinth which was beautiful, but also quite delicate. This is no longer a problem now thanks to our scratch-resistant layer. Enhancing this design option with a new production technology has made this item even more attractive. Our high gloss plinths shine beautifully, and their mitred edges ensure that there are no seams visible. 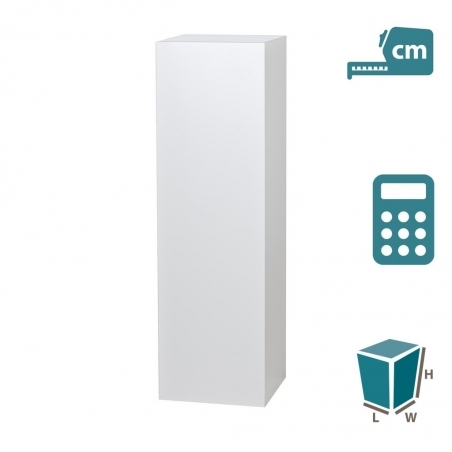 The plinth is lightweight, but can easily carry a weight of up to 100 kg. The high gloss plinths are finished with RAL 9016. 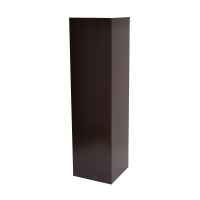 *These photos are of high gloss plinths, however, high gloss effect is difficult to capture in photography due to its shine.